home / Multimedia / The Holy Land in news / In Milan and Novara, the stories and faces of Holy Land ..
On Friday 15 February, the Università Cattolica del Sacro Cuore in Milan will host an encounter entitled “A living presence: the stories and faces of Holy Land Christians”. During the meeting, which will include talks by Father Pierbattista Pizzaballa, Custodion of the Holy Land and Andrea Tornielli, La Stampa‘s Vatican correspondent, the book Aggrappati alle Radici. Storie e volti dei cristiani in Terra Santa [Holding onto one’s roots. Stories and Faces of Holy Land Christians], written by two friends of pro Terra Sancta, Andrea Avveduto e Giovanni Zennaro, will be presented. The meeting will take place at 11 am in Room NI 110 at the Università Cattolica, via Nirone 15, Milan. 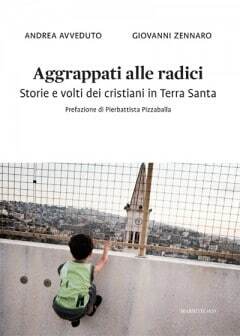 That same evening, at 9 pm, the authors of the book and the Custodian of the Holy Land will be at the Auditorium Fratelli Olivieri in Novara (Via Collegio Gallarini 1) to present Aggrappati alle Radici. 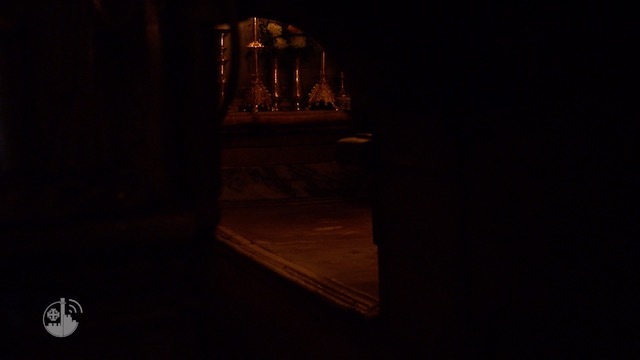 Storie e volti dei cristiani in Terra Santa. Part of the proceeds from the sale of the publication will be donated to ATS pro Terra Sancta-supported projects.